A unique way to collect your wedding cards. 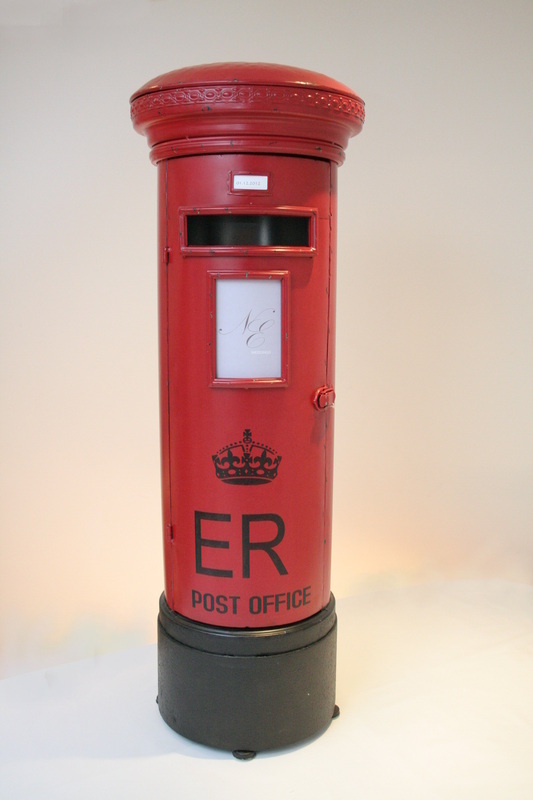 The size of this pillar box makes it a novel addition to many weddings, especially those with a vintage or country garden theme. 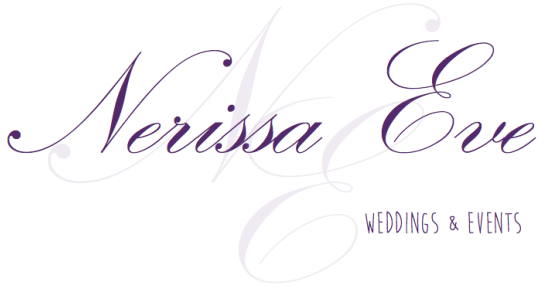 Delivered personalized with your choice of wording and date of wedding. 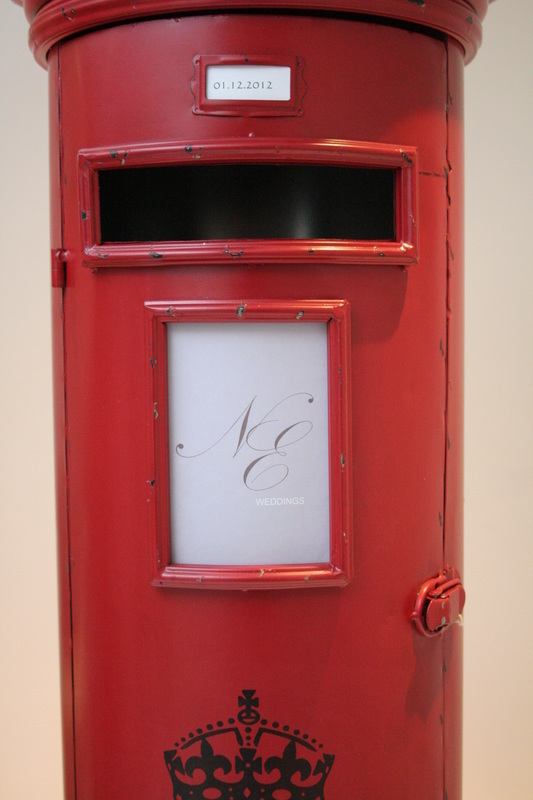 We can also design a monogram for you to insert in the little window, as pictured below. Also available in Ivory with dark brown detailing.